Too damn bad! Graze Provisions and Libations, the food hall proposed almost a year ago for Minneapolis’ North Loop, is under construction—and if all goes well, it’ll open this summer. The Business Journal reports that five-sixths of the kitchen openings have been filled, with local chefs behind ’em—though spokespeople couldn’t say which locals, yet. Of course, there’s nothing to stop you from speculating wildly about who might be responsible for the confirmed concepts: an empanada and churro place, a taco eatery, a poke/ramen concept, a southern food restaurant, and a smoked meats stop. 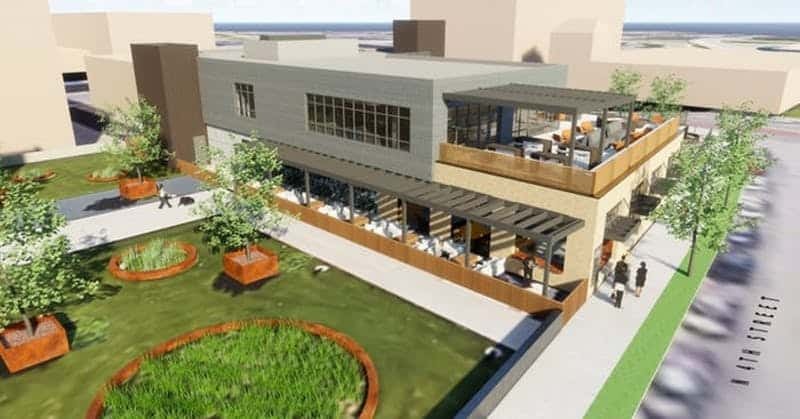 Graze will be almost exactly as it was billed in February 2018, according to the Biz Journal: a two-story operation with two bars, two dining spaces, and a coffee shop. Outside, you’ll find a walk-up outdoor window leading to that coffee shop, plus a sizable patio and shared outdoor space that’s open to all. Graze’s North Loop location—the intersection of Fourth Street North and Fifth Avenue North—could help make it a real hit. There aren’t a wealth of breakfast and lunch options for folks in that area, and this could fix that. Something else that sets it apart from the ever-growing number of food halls? Here, it’s no shopping, all chefs.